Elections have been coming in thick and fast in several countries. We have written about Nigeria, Senegal and Slovakia in other articles on the site but there have been several other important elections around the world. The first round of the Presidential election in Ukraine took place on 31 March. There was a long ballot paper with 39 candidates contesting the election, but only a few of them had a realistic chance of winning the Presidency. 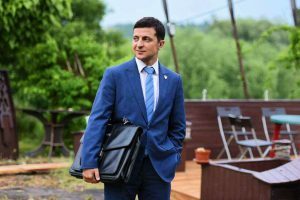 The candidate with the most votes on 31 March was a political newcomer, comedian Volodymyr Zelensky, who polled 30.2 per cent of the vote. Zelensky has capitalised on anti-politics feeling and has the advantage of having played the part of a President in a television drama. The second-placed candidate was the incumbent President Petro Poroshenko who has been in office since 2014. He lagged behind on 15.95 per cent of the vote. Other candidates divided the remaining 54 per cent. Because no candidate had an overall majority, the two leading candidates go on to a second round of the election – a run-off on 21 April. The campaign has had its share of bizarre moments, including the candidates taking drug tests, a television debate which frontrunner Zelensky seems to want to avoid, and controversy over a viral video. 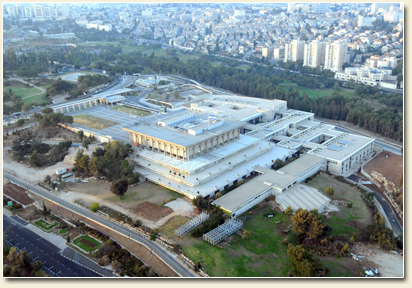 The General Election in Israel took place on 9 April. The final results showed a narrow margin for Prime Minister Binyamin Netanyahu’s Likud party over the centrist ‘Blue and White’ bloc led by former head of the army Benny Gantz. Likud won 36 seats and Blue and White won 35. Elections in Israel are conducted using List Proportional Representation (PR) in a constituency of the whole country with 120 seats. 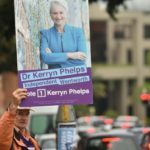 There is a minimum share of the vote of 3.5 per cent to win a seat. Voting patterns in Israel are highly fragmented and no single party can win a majority. However, Netanyahu is almost certain to form the next government because he will find it easier to get to a 61-seat majority bloc in the Knesset (parliament). Many of the smaller parties are religious or right wing and therefore inclined to favour Netanyahu. The General Election in Finland was on 14 April. Finland also uses a highly proportional electoral system and is governed by coalitions rather than single parties. 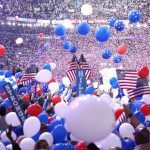 The result followed the general trend observed in many countries for the votes to splinter even more between a lot of parties. The largest party, with a very narrow margin of 0.2 per cent over the next largest, were the Social Democrats on 17.7 per cent. The next largest was the True Finns, a right wing party. The main winners of the election were the Greens and the Left party, the main losers the Centre Party of the incumbent Prime Minister Juha Sipilä. 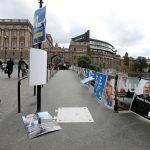 Follow this link to see a talking election poster from the recent elections in Finland! It is a bit like reading the newspaper in the Harry Potter films.